If you’re about to go through a personal injury trial, you’re probably at least a little worried. You’ve gone through a lot since your injury, and it’s all going to come down to a trial that will likely last only a few days at most. A lot can happen, and there’s almost no way to predict the outcome. However, we can give you a rough idea of what you can expect. At the start, the judge will meet with the parties and address any preliminary issues. For example, the judge will settle any disagreements about evidence and witnesses before the trial begins so the process can flow more smoothly. Next comes jury selection, assuming the parties would like a jury to decide a case, rather than a judge. This jury selection process involves randomly chosen potential jurors answering questions to ensure they have no bias and can follow the court’s instructions. Once a jury is in place, the trial can begin. Each side will make its opening statements, outlining the arguments and facts each side will present in its case. No witnesses or evidence will appear during these opening statements. The next part of the trial is where the action happens. The plaintiff will begin by calling its witnesses to testify and will introduce evidence in support of its case. After each witness called by the plaintiff, the defense will have an opportunity to cross-examine the witness and try to undermine the witness’s arguments and credibility. After the plaintiff has called all its witnesses and introduced its evidence, the defendant will then do the same. The plaintiff will also have the opportunity to cross-examine the defendant’s witnesses. After each side presents its case, it’s time for closing arguments. This is an opportunity for the parties to summarize and highlight their strongest arguments. If it’s a jury trial, the judge will read instructions to the jury to explain how to decide certain legal and factual questions. Once the instructions are clear, the jury will deliberate and reach a verdict. This is just a brief overview of the personal injury trial process. 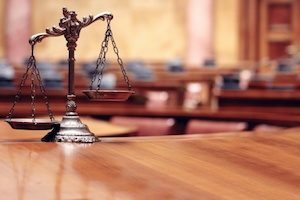 Certain procedures may change if there are multiple plaintiffs or defendants, if one of the parties doesn’t have an attorney, certain disagreements arise or one of the sides asks the court to make a decision concerning the case even though the trial isn’t over. Also, even though a case is at the trial stage, it doesn’t mean it can’t settle. Some cases will even settle while the jury is deliberating. To learn more about what happens during a personal injury trial, feel free to contact our legal team at Williams & Williams, LLC.